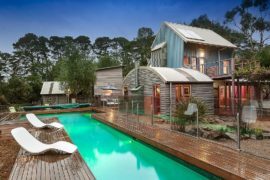 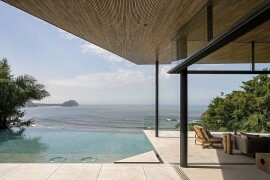 A spacious, relaxing and secluded holiday home is a dream that nearly all of us share. 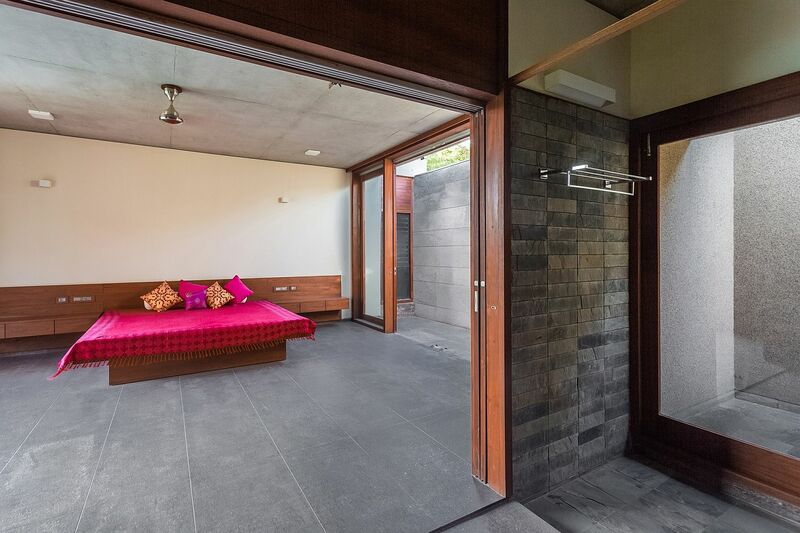 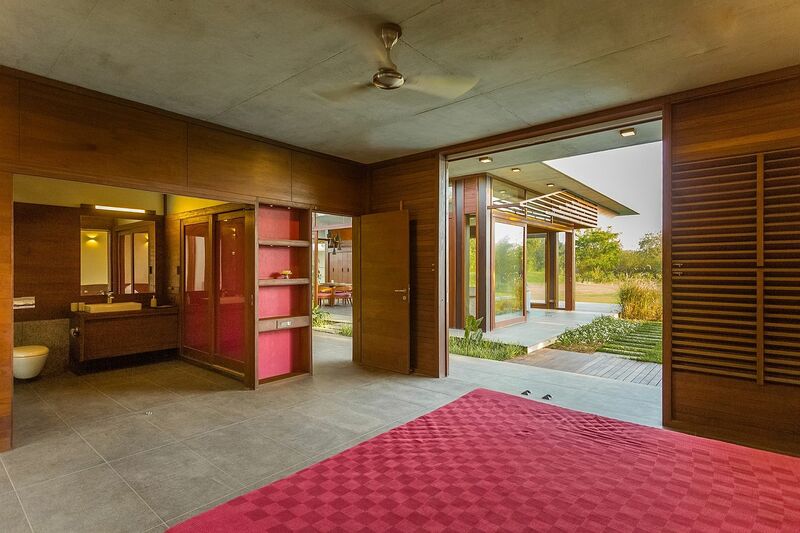 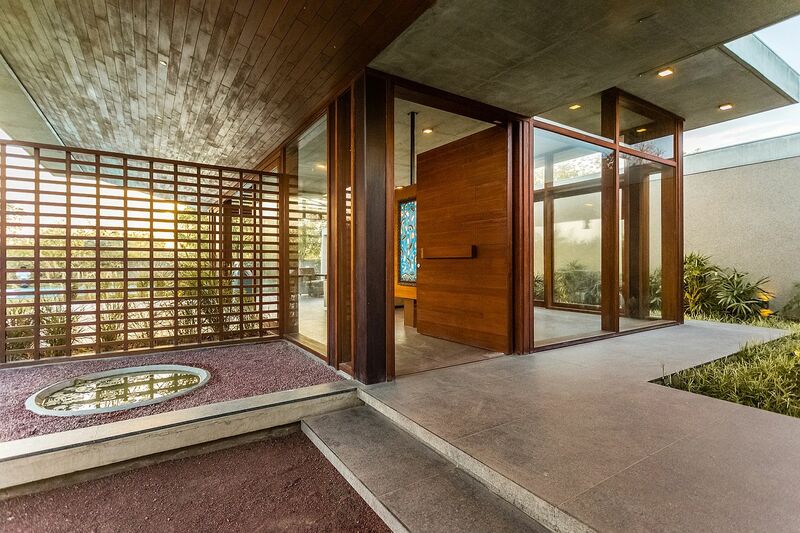 Nestled in a relaxing neighborhood of Ahmedabad, Gujarat, India, the Open House brings this dream alive for a modern, urban family of the city. 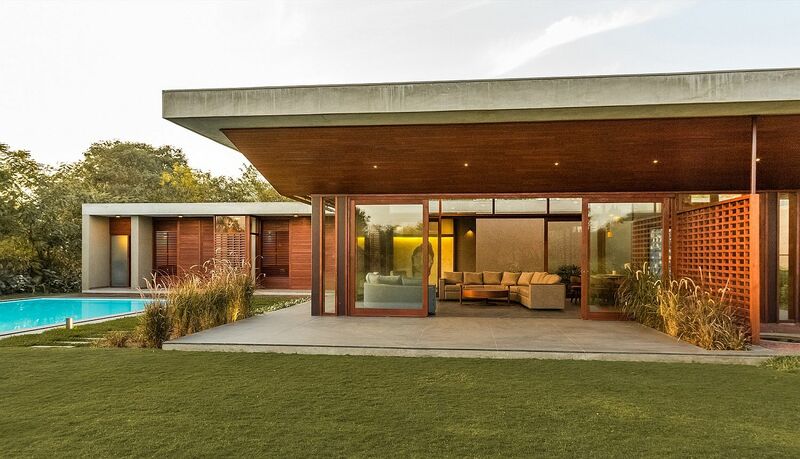 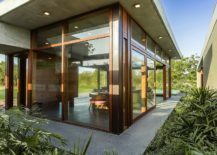 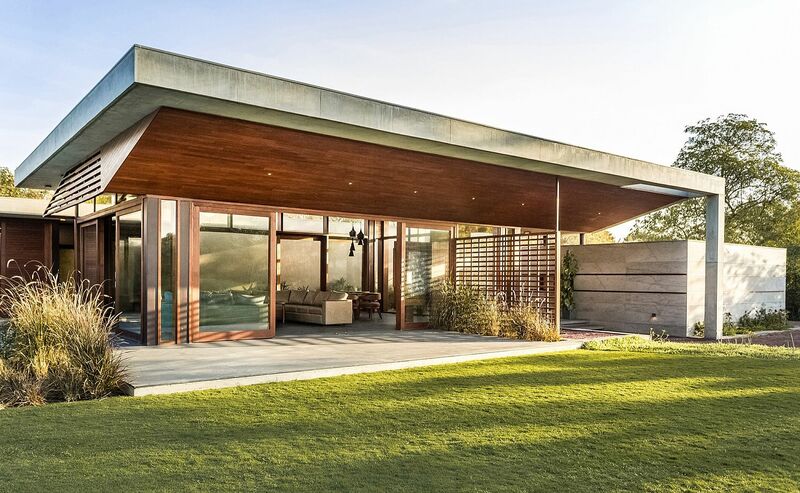 Designed by MODO Designs, the structure of this pavilion-style retreat is divided into two sections with the front façade holding the public spaces and the more sheltered rear edifice containing the bedrooms and the bathrooms. 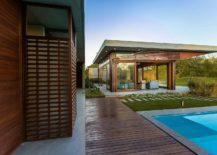 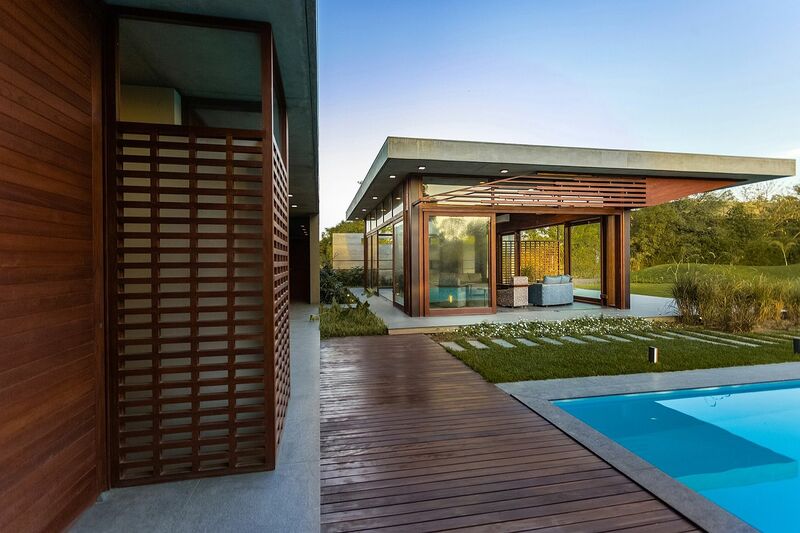 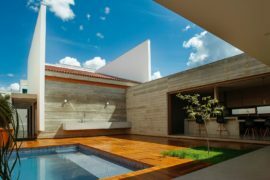 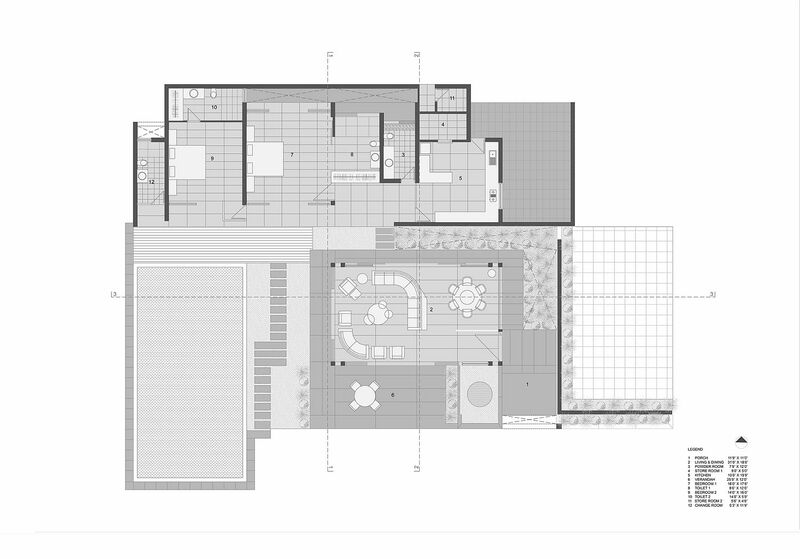 This split between the two zones is simple, practical and also creates a spacious courtyard that holds a large wooden deck along with the pool. Ample greenery around the house acts as a natural privacy barrier with a resort-inspired ambiance holding sway. 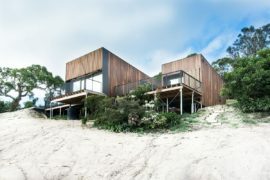 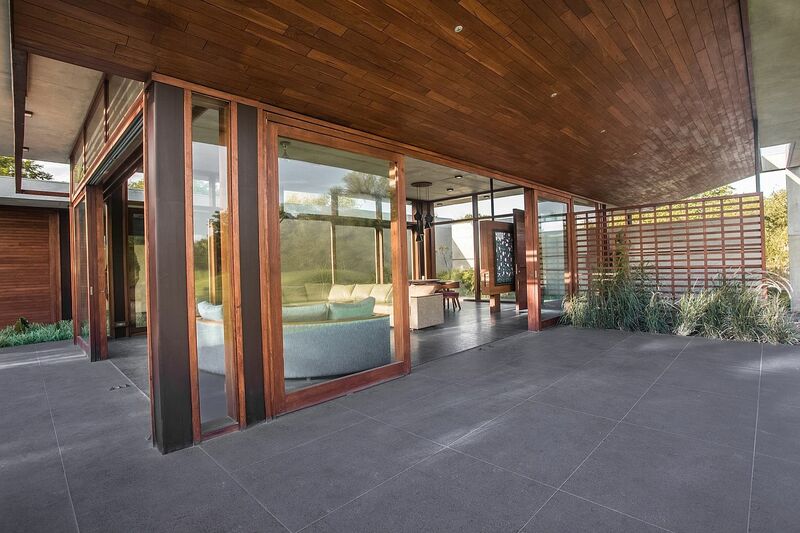 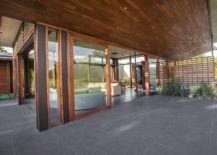 It is locally sourced granite, glass and wood that shapes the open and inviting holiday home. 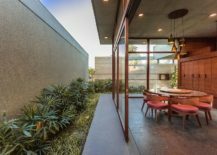 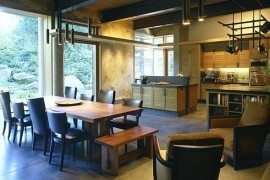 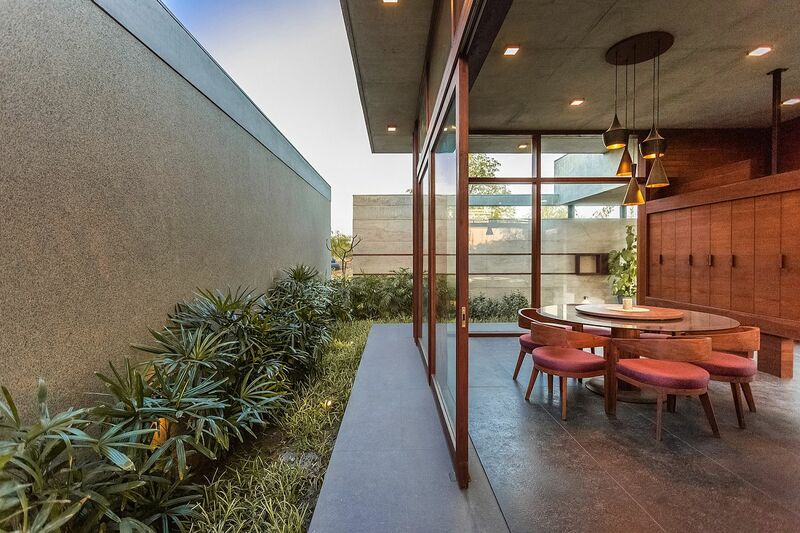 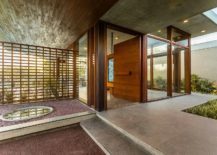 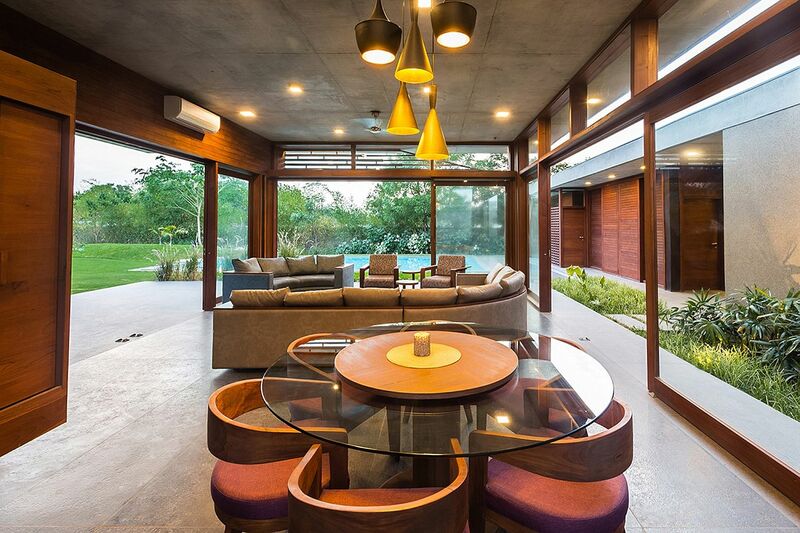 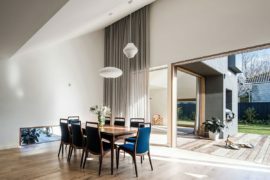 The living area, kitchen and dining flow into one end of the private courtyard, with the natural structure of the house and large overhangs creating sheltered verandahs. 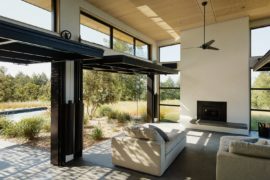 Apart from providing a shaded outdoor area, the verandahs also keep out scorching sun during hot summer days and help in naturally regulating the temperature inside. 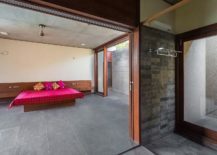 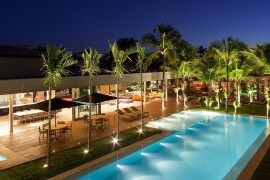 Cool breeze that flows from the South West further creates a comfortable living environment with the pool become the hub of frantic activity each evening.